Window air conditioners are simple to install and save big money when compared to construction of a central air system. They can be installed in just a few easy steps and easily removed for storage when the unit is not needed. 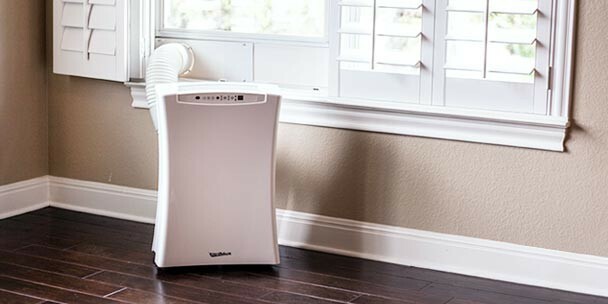 Below is a basic walk-through of a window air conditioner installation, but users should always consult their owner’s manual for manufacturer specific instructions. Inspect the window sill and sashes for any damage or rot and repair if necessary. A rotting sill could become worse with an air conditioning unit mounted on top and it also presents a safety hazard should the unit fall due to disrepair. It’s also important to remove any obstacles that may interfere with the installation at this stage. Storm window frames and window screens may need to be removed entirely. Also clear the area around the window so it can be accessed easily. Window air conditioners can often be clumsy to handle so keep the area clear of any tripping hazards. It’s a good idea to recruit a friend to assist with the installation. Pro Tip: Since this might be the last time the window will be opened for several months clean the inside and outside of the window for clear viewing. Some units require a bracket to be installed to the outside of the window. These attach to the outside of the house and require some leveling adjustments after installation. When installing these into metal frames, metal screws should be used; wood screws should be used when installing into vinyl or wood. Consult your owner’s manual for specific instructions. You’re now ready to place the unit into the window opening. Open the window to provide just enough room for placement of the unit and collapse the accordion panels inward to ensure that they do not interfere with initial positioning. Carefully place the unit in the opening and lower the top sash to hold the unit in place. It is important to consult your owner’s manual regarding the angle the unit should be positioned in. Some units require being angled backward to assist with condensation drainage, others do not. Make any adjustments as needed. Next, expand the accordion panels outward into place to reach the edges of the window and screw them into the bottom sash. If holes are not already present in the bottom sash, pilot holes should be drilled in order prevent the wood from splitting. Use a drill bit slightly smaller than the screw size to make pilot holes. Next, you must prevent the window sash from moving upward while the air conditioner is installed. Some window air conditioners will come with angle brackets that are used for added security. These L-shaped brackets are installed by fastening them into the front facing of the top window sash and to the top of the bottom window sash. Another alternative is to cut 2 x 2 inch stock to the exact length needed from the top of the bottom window sash to the top frame of the window and wedging the stock between the two. Because the window is now open there will be a gap between the two panes of glass . Seal this opening with foam weather stripping that came with the kit, or purchase some from your local hardware store. If the window faces a side of the house that receives a lot of wind or rain it’s a good idea to think about adding caulk to the outside of the window. This added step will improve the air tightness of the installation and keep any water, wind and pests from getting through. You’re now ready to plug the unit in. Keep in mind to use a properly rated power supply for your unit, and to use a properly rated extension cord, if needed. These cords are rated for heavy current and the packaging will state either “Air Conditioner Cord” or “Major Appliance Cord”. 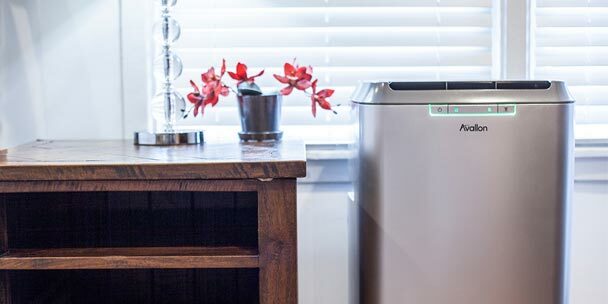 We were originally looking at a traditional AC unit to install in our home, but perhaps this is a good alternative. If I were to install this type of unit, I would have done it in the family room, since that is where most of our time is spent. However, after reading this and your advice to keep it in a shaded area, the family room window is almost always hit by the sun. Thanks for the advice there otherwise I totally would have put it there. We will continue to consider our options. Installing a window air conditioner doesn’t sound as difficult as I was expecting it to be. There is at least one room in my home that could probably benefit from having one, so I’ll have to give it a shot. It should be nice to have a separate air conditioner in there to help keep the room cool! I appreciate your information about the location of a unit like this. I had every intention of putting it in a place that I now realize would have been ineffective! Now I will be sure to follow your instructions perfectly so that this is actually helpful to my home! Do you think that it would be best to have more than one in a large home, or will the air circulate anyway? When it came to putting in a window air conditioner I didn’t think that the location mattered very much. I never thought about it being towards the center so it can get to most of the house. that is smart because you don’t want only half to be cooled. Is it just okay to put a cage for animals (chicken for example) just under the unit (window type air con)? What hazards can it bring about? Will carrier I stall the u it for me when I buy it I’m disabled and can’t do it unfortunately? Will carrier install it after I buy it? I’m disabled and unfortunately cannot?